Gov. 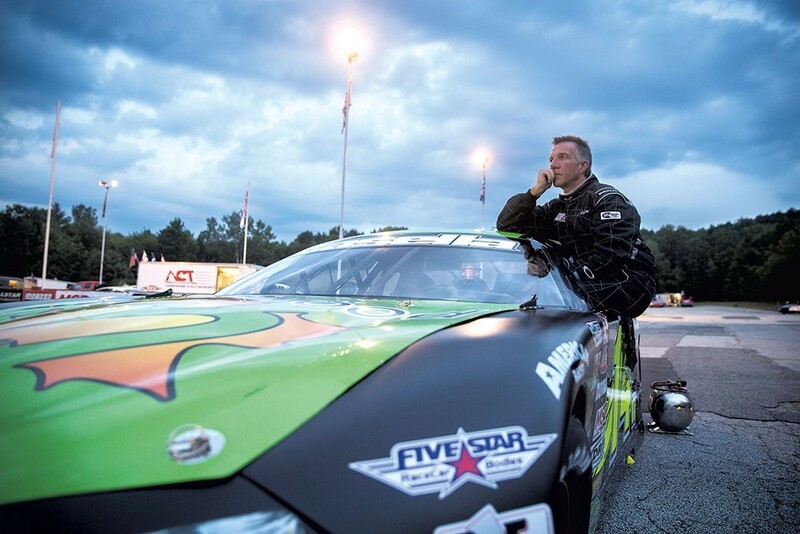 Phil Scott is continuing to promote his proposal for statewide negotiation of teacher health insurance plans, even as he looks ahead to his first return to the racetrack since taking office. At a Wednesday press conference, Scott brushed aside legislative complaints that his plan arrived far too late in the session for full consideration. The first-term governor also believes there’s plenty of time for a return to auto racing. The season begins this weekend at Barre’s Thunder Road SpeedBowl with a car show and open practice on Saturday and the first race of the year Sunday afternoon. And the Democrats are playing defensive backfield. Which may be, but majority Democrats in the legislature have their doubts. At a Wednesday morning session of the tax-writing House Ways and Means Committee, questions were rampant and answers were in short supply. How real is the $26 million? Out of whose pocket will it come? How exactly will the savings be disbursed? “I’ve learned in this building, if you do things by consensus, it’s more worthwhile,” he explained. But when time grew short, he added, “it didn’t appear that anyone was moving forward on it,” so he decided to publicly put his weight behind the plan. That was presumably news to legislative leaders. If they were included in the consensus-building effort, they are hiding it well. Leaders of the Vermont Republican Party have suggested that the Vermont-National Education Association, a statewide teachers union, has swayed Democrats with campaign contributions. Vermont GOP executive director Jeff Bartley dispatched a mass email Tuesday with the subject line, “Vermont NEA Continues to Buy Votes.” But at Wednesday’s press conference, Scott evaded questions about the charge. When a reporter noted that Scott had failed to answer the question, he said “I think it’s a better question for them,” meaning Democratic leaders. While Scott continues to beat the drum for his plan, the legislature continues to steam toward adjournment. On Wednesday, the Vermont Senate approved the major tax and budget bills on unanimous votes. The quick action leaves time for House and Senate to work out their differences by the end of next week. They seem determined to leave Scott’s late entry in the 2016 Legislative Grand Prix stuck in the pits, without even getting to rev up its engine.